Is the Master Chief in Reach? Maybe, probably not. The game will focus on Spartan team ‘Noble’. You play the campaign as Noble 6, the Lone Wolf. Is Halo Reach going to have Natal? Nope. Nada. Bungie Busted this long running myth. Who’s that Spartan with a mechanical arm? That would be Kat, a long serving member of Noble Team. She is not a Def Leppard fan ok? 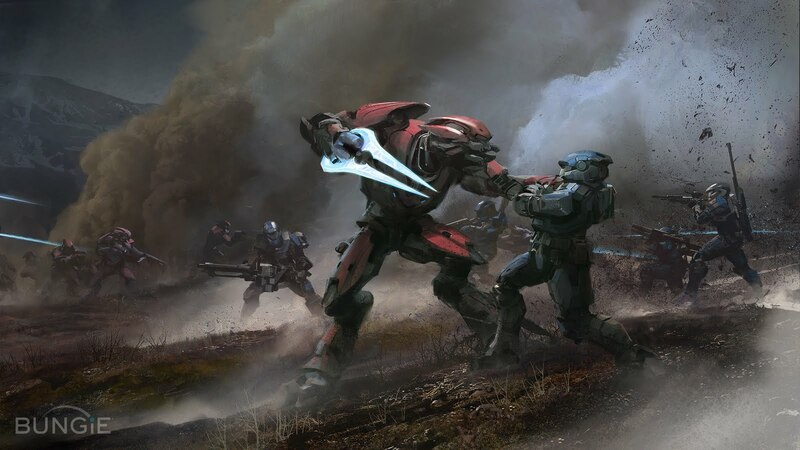 Is ODST’s Buck going to be in Halo Reach? In Halo 3: ODST Buck mentioned he was there at the Fall of Reach. This article strongly hints that Buck will appear in Reach in some shape or form. Given the Noble squad has been announced, it seems reasonable to speculate you will run into him ‘in the field’ as it were. How do I get in the Multiplayer Beta? Have played a lot of Halo 2 or by using your ODST game disk. You’re thinking of a 1980s Eurythmics song. Move along, Missionary Man. Is Halo Reach actually Halo 4? That’s a good question really. One could argue that it’s actually Halo 6 because of Halo 3: ODST and Halo Wars but you probably wouldn’t convince a High Court Judge or the Hierarchs of your claim. Will there be Firefight in Reach? Bet the farm on it, boy. Reach will have Firefight mode. The success of it in Halo 3: ODST guarantees it. It might not necessarily be called firefight but the concept will be there. Where can I pre-order Halo: Reach ? Click the box below! "Play alot of halo 2" or is it Alot, alot, alot of halo 2.